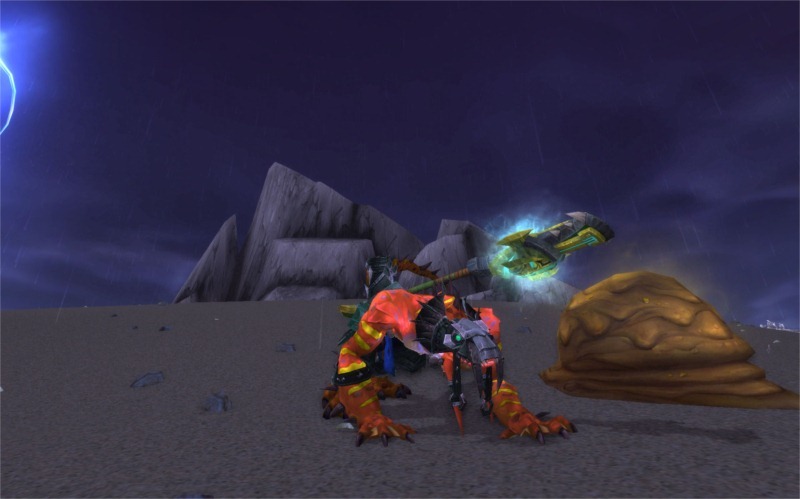 I hope your week in WoW wasn’t like mindless grinding as painful as my epic quest in the search for the Tome of the Lost Legion. I’ve devoted several hours each night and so far I’m hitting the 60 hour mark of personal time wasted invested and still no loot drop. I’ve been utilizing the IOTRARES addon from Curse.com to help me on my endeavors in camping and farming. 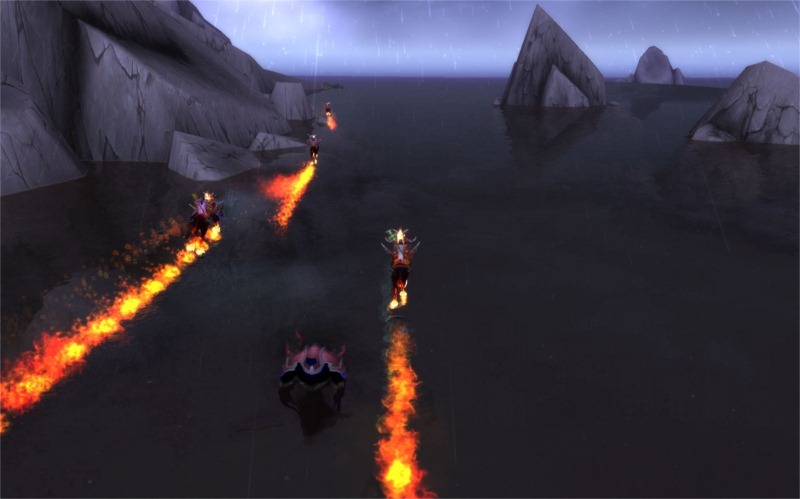 If you’re unfamiliar with this addon, it’s used for tracking the elite rares that scour the Island. Unlike NPC_Scan it doesn’t alert you to nearby rares. What IOTRARES does do is broadcast out the name of the mob and it’s location across the general chat for others to see. After the elite dies, it begins listing a countdown timer on your screen so that you can guess or estimate as to which one will appear next. It will only add a timer on the mobs that you have taken down as well. Thanks to Nagratz the wicked for his tip on that one! 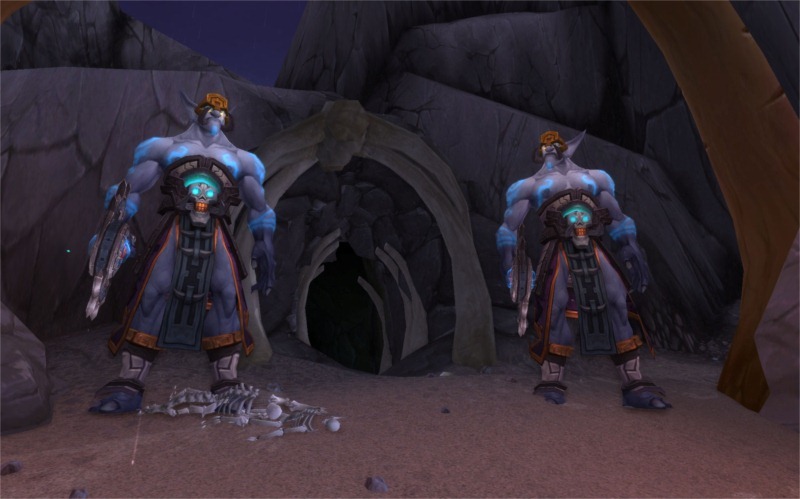 On the average, I’ve found that the elite rares on the Isle of Thunder are roughly on a 35-45 minute respawn timer. The reason I say roughly is because I’ve never seen one respawn in under 30 mins and I’ve seen some take as long as 1:05 hours, but most are at the 35-45 time frame. I’ve also seen a couple players on various forums mention that Rasha isn’t on the drop list or that he doesn’t drop the tome; however, I know two warlocks who both got their tome drops from him. Maybe I’m crazy, but I think that clears up that confusion. Also, please keep in mind that Rasha’s tag is faction specific so if you see him then attack him before an opposing faction member takes your chance away. For the opposing players who run into the cave while I’m killing the two elite guards and steal my tag on Rasha just know that I look forward to the day when I see you flagged and yes, I’m keeping a list. Trust me on that one! I’m also of the firm belief that the tome is an individual RNG drop and not based on a “first to loot” system. Here’s why: It was late this past Friday night when I was out farming for the tome when I came upon Goda. I called out in general chat that he was up and I waiting for about 1 minute for others to arrive and I targeted the giant turtle so that IOTRARES posted the information for others to see. The first to arrive by chance was a small group of Alliance players who I could tell were going to attack the moment they got close. Being superstitious and still uncertain as to the rumors I had heard about I decided to attack Goda first. Hey what can I say? I’m not taking any chances! 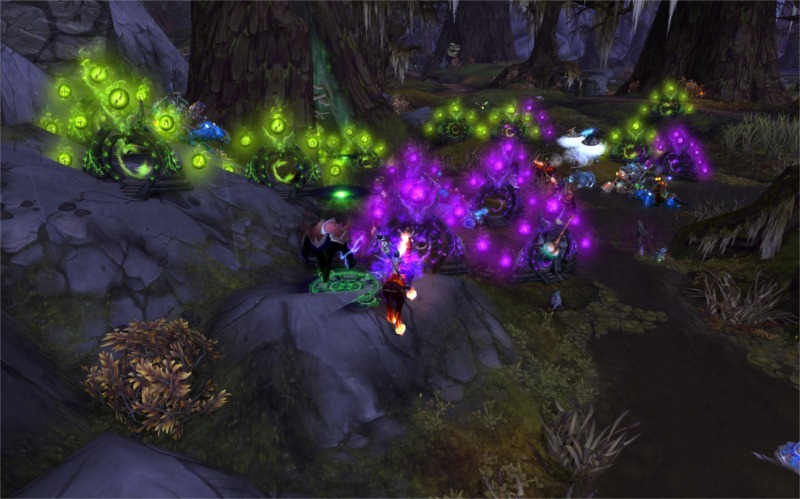 A few seconds later during the engagement a group of Horde players joined the fight as well. When the smoked cleared I was the first to loot and I got a Tome of Valor and some silver. One of the last to show up to the fight and one of the last to loot was another Horde warlock who I had met during my nightly farming runs and the tome dropped for them. So take that info fwiw. I’m not sure if any of this is good advice or not, but I can tell you all of this sure has helped me! Of course I say this and I still haven’t gotten that dang book to drop! Below is the questionnaire I’m going to be sending out next week to many of the warlocks throughout the WoW Community and so here’s where I’m asking all of you for your help and input. Please read through the questions and let me know what else you would like added or answered. As much as I think I covered some of the major topics I know that I’m not that creative when it comes to asking interview style questions. I’ll also add a specific post section to keep all of the completed forms in once place for easier finding as well. So please, give it a gander and let me know what you think. What specs are you currently running? What’s your favorite specialization and why do you like that particular play style? What’s your favorite spell and why? Do you prefer using a minion or using the Grimoire of Sacrifice? Which is your favorite demon to command and why? Do you use any macros and if so which one? What flavor are your warlock cookies (ex. Chocolate Chip, Carmel, QQ Mage Tears, Spicy Hawtness)? 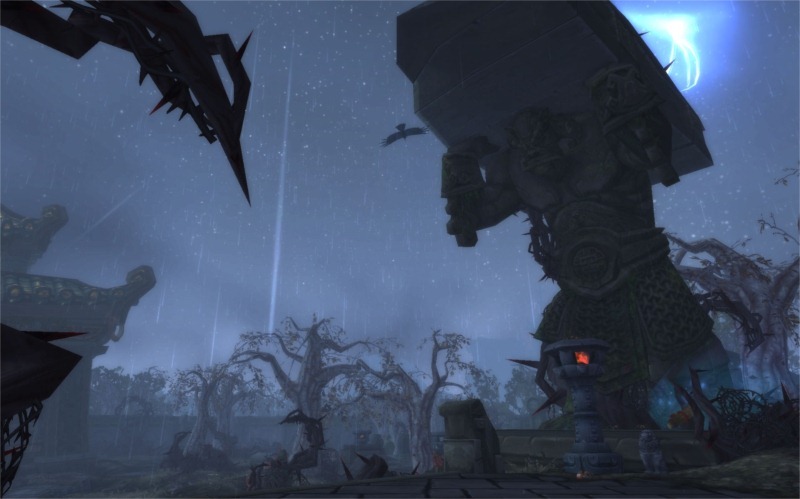 What is your favorite dungeon or raid boss, or PvP battleground and why? What is your least used spell? What do you like most about playing a warlock? 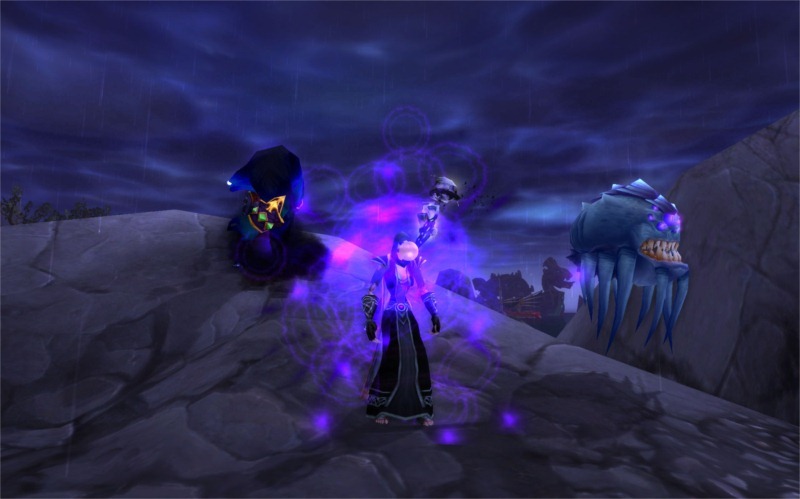 Do you have any tips you can offer for newer warlock players, or to those who are new to the specialization? Have a great week all and may the RNG gods smile on you, and may the elusive tome land in your bags. I’ll leave you with a few more pictures :) not because I’m a complete picture spammer, but because there’s not a lot to do while camping. My name is Truny, a fellow purveyor of the dark arts! I’m so glad to have to come upon your blog and to find someone who is, dare I say, passionate about malefic slaughter and soul-stealing. What flavour are your warlock cookies (if any)? Is it based on the kills of the day, or do you go out and choose a specific specimen? Well I’m glad you found your way here and you’re welcome anytime you want to stop by, and yes you could say I’m a little bit passionate about ‘locks ;) Btw, your question isn’t silly and in fact I love it. It’s going into the survey if you don’t mind my stealing…er…borrowing it. Ya know, I never stopped and thought about the flavor of warlock cookies before. I mean we all know that mage biscuits are dry and make you gag into fits of coughing, and we should all just be thankful for any good +intel elixir to wash them down with otherwise those horrid, crusty biscuits could never be consumed. Now a deliciously warm warlock cookie on the other hand comes straight from our gorgeous green soulwells and of course they do come in a variety of flavors. Now I just need to ponder what flavor mine turn out to be. I’ll check next time I’m in game and I’ll let ya know. I hope you don’t have to farm this too much longer. It is behaving like a fishing achievement. I really like the idea of the Warlock questionnaire. It will be fun to learn a little about the Warlocks I know of and also the ones I don’t. For what it’s worth I was lucky to get mine early on from Goda. I am currently banging my head against the wall of the Black Temple on the last fight. It is proving to be a difficult fight for someone of my average skills but I will get it eventually. Glad you like the questionnaire idea. I think it will be fun and it’s always nice hearing from other warlocks about why they are passionate about the class. Gratsie on your drop from Goda! Woot! I’ve heard several people talk about the boss not being easy, but I expected a higher level of difficulty on it. Well, if the tome ever drops for me I might be able to see it. Since I gave up on actively farming it I don’t expect that to happen anytime soon. I haven’t ever been too worried about ‘green fire’. 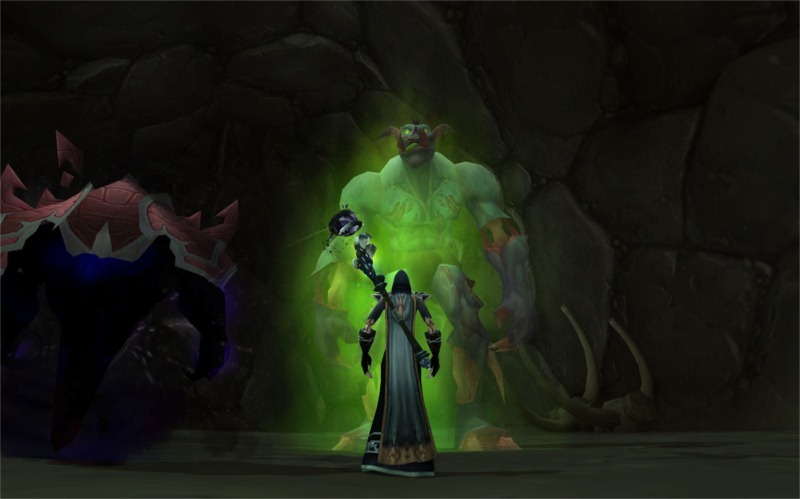 Sure, ok, let’s be different, we use fel energy, not elemental like those mages. Give me 3 more iLevel points, and I think my grinding will only be in the LFR.. It drops there too right? In the meantime, I am still trying to get Dom.Off rep so that I can finally purchase some rep-upgrades. I have seen a ‘macro’ with regards to adding the rates to npcscan. IIRC, skim the wowhead comments ( here: http://www.wowhead.com/npc=70003#comments:id=1822752). This will add all of them to your app. As a fellow lock blogger, I’ve had really good luck using ’emailmeform.com’ as my contact page (not the prettiest thing but definitely functional). The site lets you create a simple form that clients can populate the fields then it’s emailed directly to you. You might want to avoid some potential issues (incompatible formats, infected files, etc.) and collect your results using a web form. Now of the questionnaire…Should also question which is the warlock’s favorite PVE/PVP moment of epic proportions-saving a raid from enrage timer or killing that one flag carrier just before he manages to score the point to save the team from failure- to see how well our older folk do compared to the newer batches of locks. I would kill to get the questionnaire sent my way too, but then again, I have not been as active on my warlocking as I should be-the ex is highly demanding and well, once we are done with our current combo she plans to druid heal my lock for easy ganking in Isle of Thunder King- so until then my skills may rust T0T. 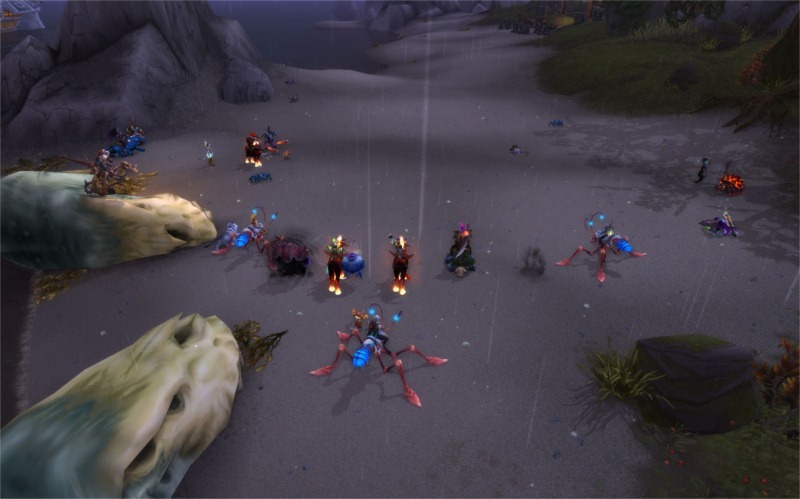 Hope my addon can help, also using it with a target of target addon might help a rare hunting raid group to better target the mobs you highlight-plus you can pulse it with carbonite coordinates too if friends and teammates find it before you do. Send me an email address to my email address!